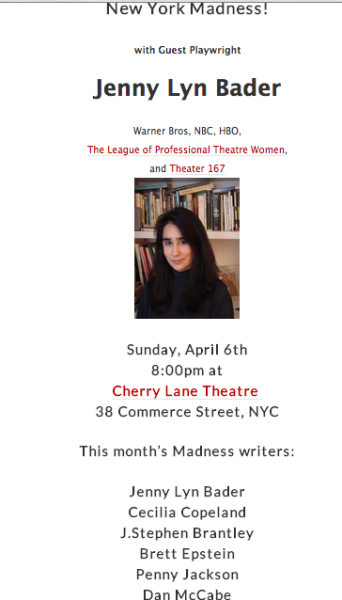 Brett has been selected as a writer for April’s NEW YORK MADNESS! The theme for each play is Free Advice. NYM brings together a slamming roster of artists to create an evening of new plays based on a Theme selected by the Featured Guest Playwright and announced one week before the event. The collective works by all the writers form a kaleidoscope of that cultural moment. The plays are presented hot off the press, fully staged, script in hand and… ANYTHING CAN HAPPEN IN A MADNESS! Tickets are FREE! Reserve HERE.